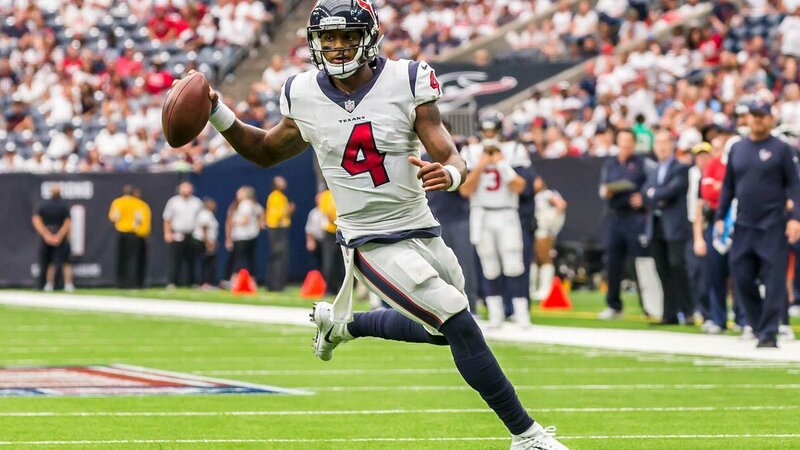 Thursday Night Football Preview— Houston Texans at Cincinnati Bengals: Too Early For A Must Win Game? What constitutes a ‘must-win’ game? Logically speaking, elimination games are the only true ‘must-win’ contest since losing the means the season is over. As true as that is, we like to look at other games as ‘must-win’ as well. It’s not because someone might get eliminated. It’s because the boost of confidence that comes with winning can keep the team from struggling too much this early in the season. Without it, the season could go in the tank a lot quicker than expected. Such is the case for the Cincinnati Bengals and Houston Texans. Both teams came into the 2017 season with playoff aspirations, but neither looked like a postseason caliber team in Week One. Houston lost to Jacksonville at home in a 29-7 loss. Once again, the team had poor play at quarterback as Tom Savage struggled and Deshaun Watson didn’t do much better. 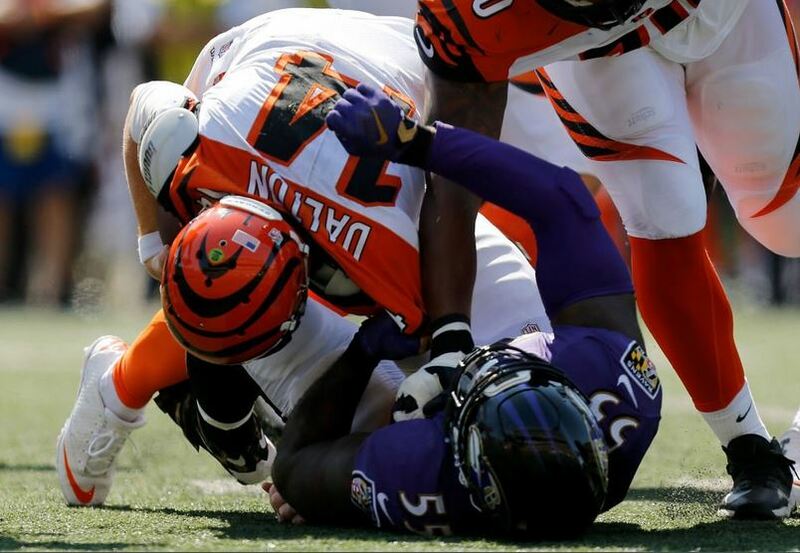 Andy Dalton turned the ball over five times (four interceptions, one fumble) in a 20-0 loss to the Baltimore Ravens. A second loss to open the season will make it hard for either team to climb out of the hole they’ll be in. Not that beating another struggling team will cure what ails either, but it is a lot easier to move on to Week Three when you are 1-1 than when you are 0-2. A game against the Bengals team that showed up last Sunday could be exactly what the Texans need. Of course, they have to figure out who the starting quarterback is going to be before they can do anything. All signs are pointing towards Deshaun Watson starting at quarterback Thursday night. But head coach Bill O’Brien has not said who will be the starter yet. A ground game to help take pressure off whoever starts. Houston’s run game did little against the Jaguars, but that is in part due to the need to pass after falling behind. Last week the Bengals allowed the Ravens to rush for 157 yards (42 total carries). Lamar Miller is a good running back, but he needs a little more help from his offensive line to be productive. With Duane Brown still not playing, it is hard to see where that help will come from this week. The only place it could come from is the passing game. But Houston struggled to throw against the Jaguars no matter who played quarterback. It certainly didn’t help that the offensive line gave up ten sacks. Watson was sacked four times, but the football-loving free world still thinks Watson will get the start. Yes, he has holes in his game that need fixing. Can he fix them while playing? Yes, but they can also turn into a crutch that ruins his game forever. But he has something Savage doesn’t, and it makes him the better choice to start moving forward—mobility. Savage is a pocket passer that needs to get some protection to do his job. Watson will be able to make plays on the run better than him. With how the blocking looked last Sunday, whoever plays quarterback for the Texans is going to be on the run quite a bit. However, he did injure his ankle against the Jaguars so his mobility might be compromised. If he plays on it and gets hurt worse, his rookie season will be in danger of a premature end. So, the Texans—as usual – have a quarterback quandary on their hands once again. But it could very well be quarterback play that wins the day for them Thursday night. Not Watson’s or Savage’s but ‘Primetime’ Andy Dalton. Houston is going to have to run the ball to take pressure off whoever plays quarterback. Somehow, the offensive line is going to have to figure out how to get it together and make some plays. Luckily, the front seven for Cincinnati is not nearly as good as Jacksonville’s. Does that mean they’ll be able to run the ball? Probably not. Marvin Lewis thinks Andy Dalton will rebound. If it weren’t a primetime game, maybe he would– but don’t count on him rebounding this week. In the end, the offense will have to make a few plays for Houston. But much like the last time the Bengals and Texans played, it was the defense that won the day. That will be the case once again Thursday night. Oddsmakers favor the Bengals by 6.5 points, but look for the Texans to win by three.